Things that got away from me last week – including blog posting – got a bit recaptured over the weekend, which consisted of phone call time with all my daughters and an afternoon hanging out with Mom. It also consisted of me not being my best self when I got home from Mom’s expecting to start building beehives and Sweetheart informed me that we didn’t have any of the right nails to put the boxes together. I will skip over the part where I expressed my feelings about this discovery. Enter Sweetheart Senior, my father-in-law. 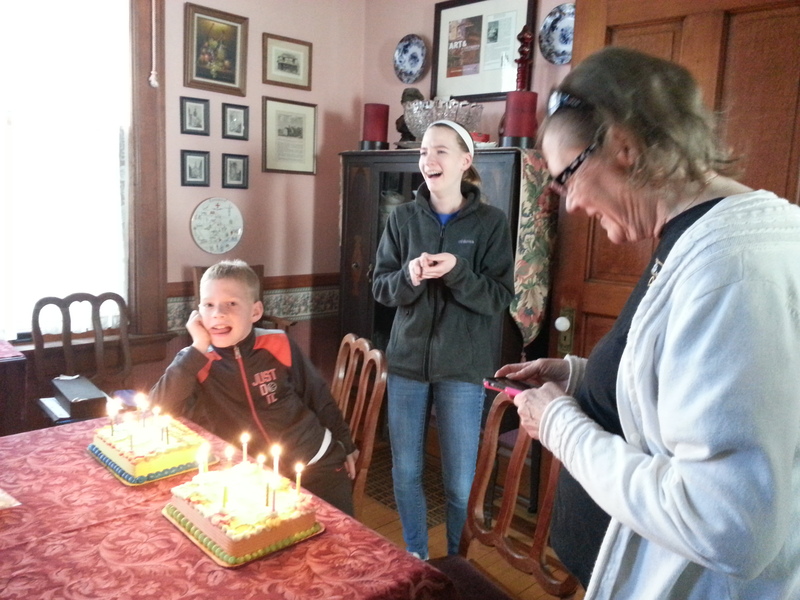 SS and his wife invited us all to lunch today, to celebrate a couple of birthdays – our nephew B, who turned 9, and Sweetheart’s mother, P. Senior and P haven’t been married since Sweetheart and his siblings were kids. But Christmas and birthdays are communal affairs, with all the drama one would expect at an event where lovely people congregate. Or, to put it another way, none. My nine-year-old nephew, his sister and my mother-in-law prepare for a candle blowout. 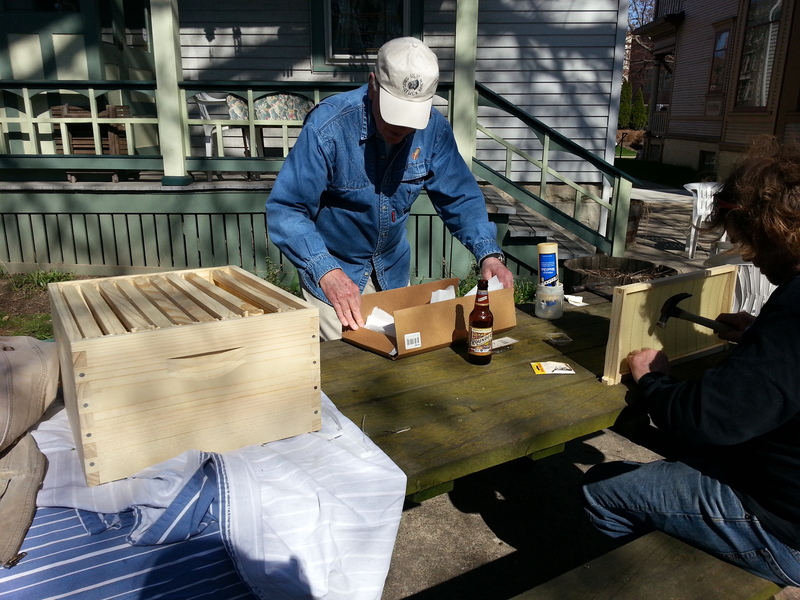 Sweetheart called his dad last night to ask if he had the right kind of nails and whether we could build the hives at their place before or after the party. He did, so this morning, while Sweetheart gathered up hive parts, I walked over to their house with the birdbath we’d gotten for P, and a bag with pignoli, caramelized beets with chèvre and serving pieces for both of them. 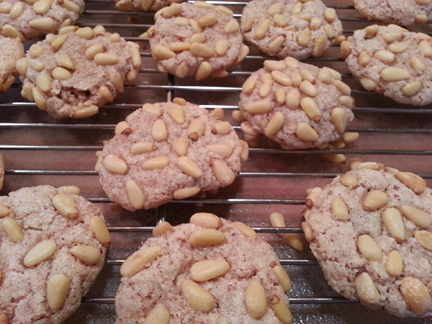 Pignoli – this recipe is from an America’s Test Kitchen cookbook and only has four ingredients. They were delicious! After the party, I figured SS would set us up and Sweetheart and I would put the box and frames together. But then, Sweetheart and Senior got into it and were having a great time. So I did a little bit, but mostly hung out and took photos. Nothing says “father and son bonding” like beehive building. 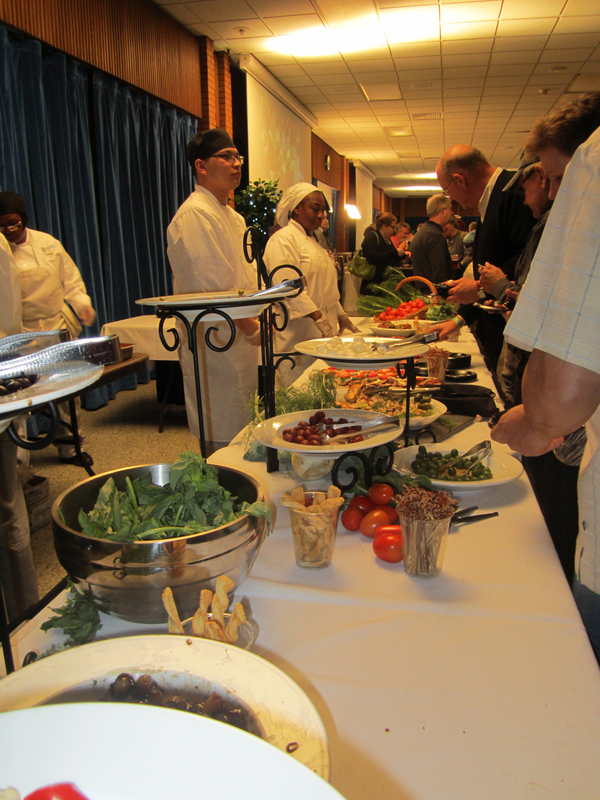 And speaking of photos, this past Thursday, the Large Midwestern Technical College where I work held its annual Five Star Event. The Five Star is the biggest scholarship fundraiser for the culinary, hospitality and baking programs. People start lining up an hour before the 5:30 start time. The $45 ($55 at the door) gets you all the amazing food you can eat – in multiple areas at multiple stations – and a chance to buy raffle tickets, bid on silent auction items and participate in a “wine pull” – I don’t remember if it was three chances for $10 or something different, but you get the idea. Once you’ve bought in, you pick a cork from a barrel of them, and if there’s a number on the bottom, you get the bottle of wine to which the number corresponds. 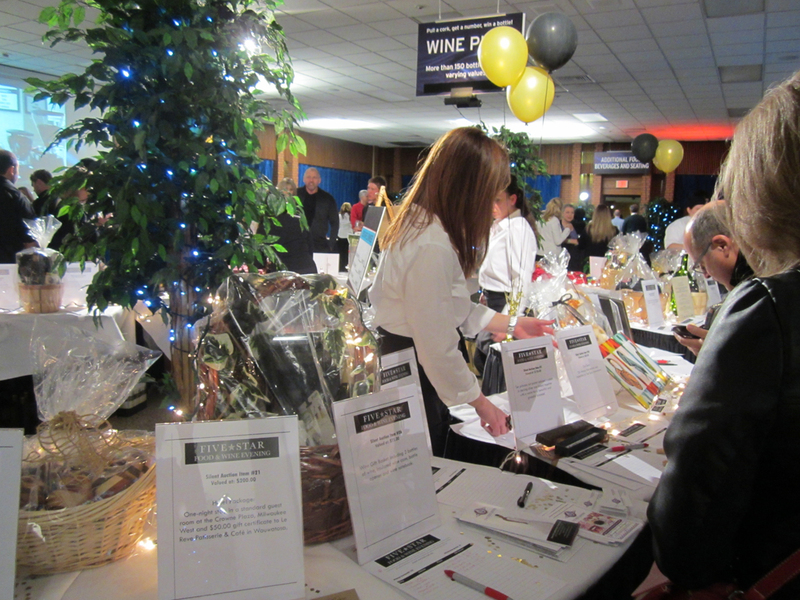 Silent auction and wine pull zone. There were some great things to bid on, but we are really trying to keep acquisitions to a minimum. 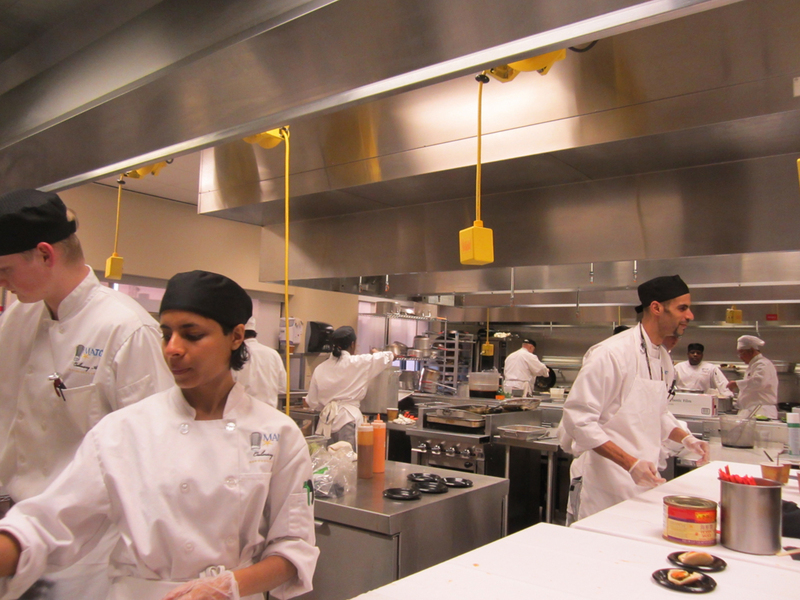 Students in the Asian station, working to keep the tables stocked with tasty offerings. 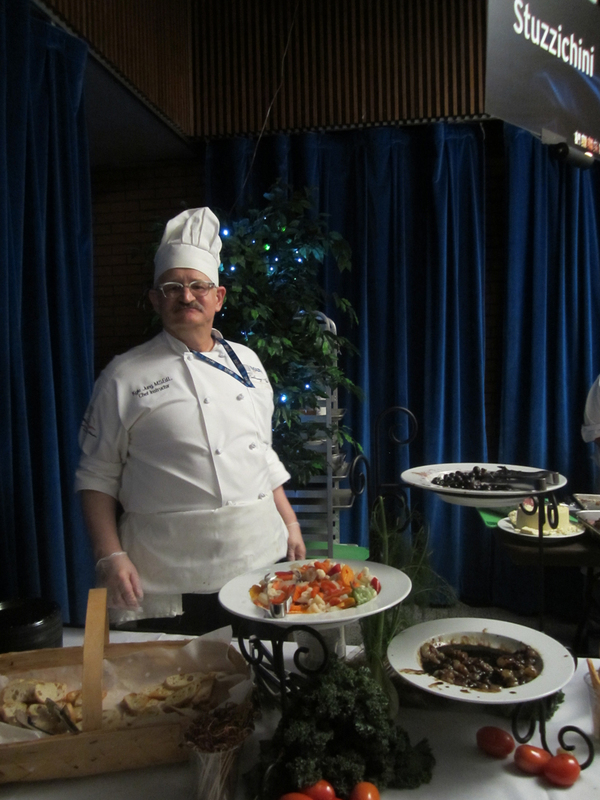 Chef Kyle organized and supervised the Stuzzichini station – an Italian antipasto extravaganza featuring pesto potatoes, anchovies not from a can, roasted artichokes and the sweetest caramelized onions in the history of caramelized onions. A view of the Stuzzichini station, and happy attendees, filling their plates. Mostly, it’s a great night for people watching and a great night to watch our students and their instructors strut their culinary stuff. 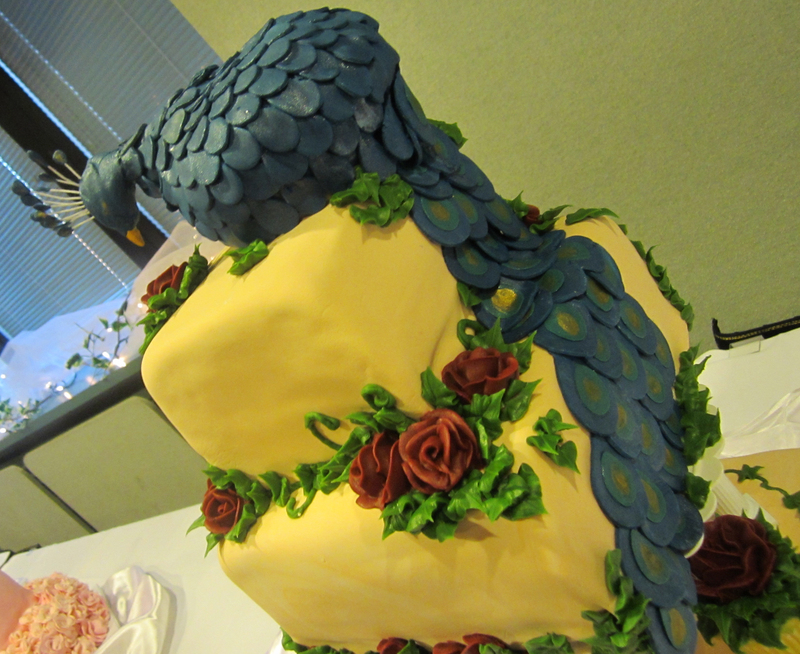 There was a room filled with cakes that were too pretty to eat. 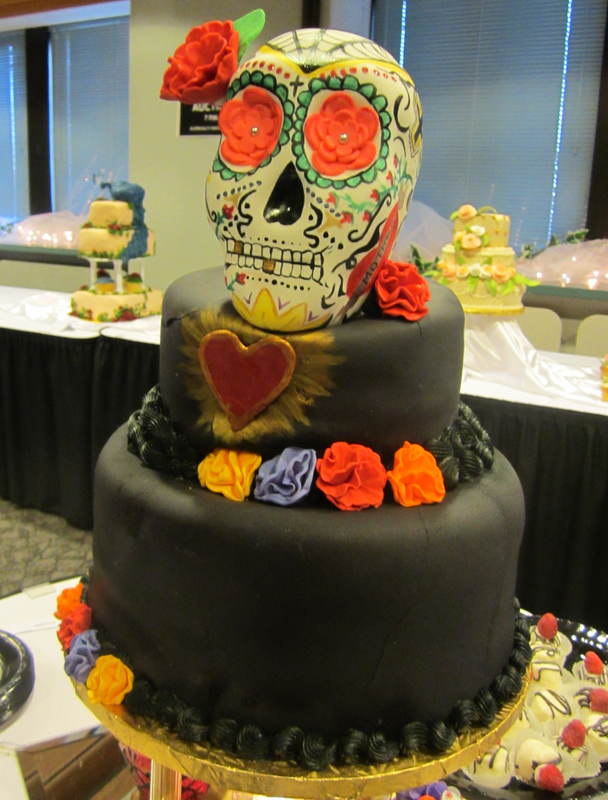 They were baked and decorated by baking and pastry arts students, and auctioned off. I’m going to give their pictures the last word. 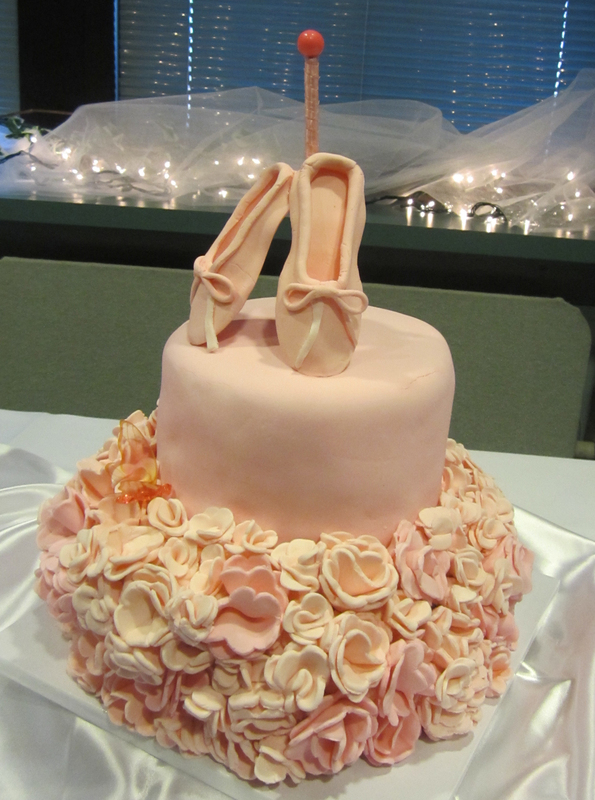 An en pointe cake with a tutu of pink roses…. 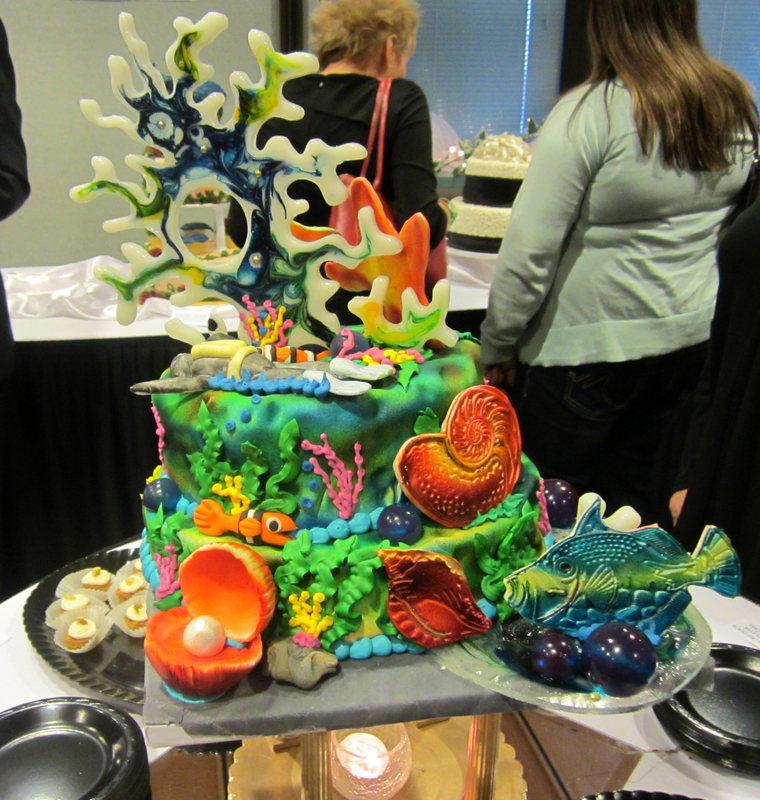 The work that went into this cake was probably way more work than a day at the beach! I seriously contemplated getting married again, just so I could have a cake like this at my wedding. The only things that could make this cake better would be if it were chocolate and gluten-free.